Prepare to embark on an adventure beyond imagination with the return of the best selling role-playing series of all time. In the 9th and final chapter in the 20-year legacy you return to Britannia™ for your last epic quest. As the heroic Avatar, only you can save Lord British™ and his people from the evil Guardian who has devastated the landscape and tainted the 8 sacred virtues. Valiant combat, magical prowess and knowledge of the 8 virtues are your weapons against evil in Ultima™ IX: Ascension, the most epic role-playing game ever created for the PC. item in the world, you'll forget it's only a game. Conjure 45 incredible spells using circles of magic, alchemy, and rituals. Valor, Compassion, Honor, and Spirituality) as you become a legend. Designed by the Ultima creator Richard Garriott - a.k.a. Lord British. 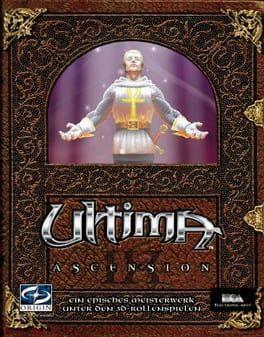 Ultima IX: Ascension is available from 4.99 to 4.99 from 1 shops.